My daughter was very recently granted custody of the two daughters that resulted from her relationship with a sociopath. An ongoing problem that I would LOVE to see you address on your website—how does one deal with the sociopath’s lies and manipulation of the children? Specifically—how do you tell the kids the truth without hurting them? My daughter has to deal with a constant barrage of lies from the other parent. An example of this—telling their older child that her mother did not want to see her when the reality was that he (the sociopath father) was keeping the children from her. It’s a no-win situation because either way it is hurtful to the child. But the reality is that the child has to be told the truth. What is the best and least hurtful approach. This is an incredibly difficult situation, no doubt. I have school-age children with a sociopath, and I deal with these issues constantly. It’s easy to wear out and even easier to handle it less than ideally when you’re exhausted or despairing or broke. So I’d like to start with the context and recommend that you and your daughter both do anything you can do to keep her life and the lives of her children stable, balanced, and well-tended. The sociopath operates, in part, by creating chaos. Anything you can do to help those children live in stability will help them keep their feet on the ground. My extended family has helped me bolster my children’s lives while also providing a reliable, unconditional safety net. That context provides a beautiful space for growing up. So do anything you can do to create your own beautiful, stable foundation for these children. Then in comes the chaos. The lies. The manipulation. Talking about these behaviors is tricky, and how you respond or what you say really depends on the child and their level of development. I’ll try to share some general, high-level guidelines I’ve followed successfully over time. Create suspicion in them toward any future man I might bring into my life (i.e. your mom will abandon you if she dates). Make them choose who they would believe. Think about that. How would it feel to have two people—your parents and main caregivers in the world—telling you completely opposite stories about an issue that had you crying all weekend? It would rattle my knowledge of “right” in the universe. It would crack my sense of stability to the core. When I explained to my children that I had been calling, they weren’t exactly relieved. How could they be? They looked at my phone and saw the missed calls and realized (according to their own developmental capacity) that someone who is half of their own born identity was lying in a way that can’t be fathomed. Should You Tell Them Their Parent is a Sociopath? So then we talk about telling them the truth. Should I have told my children in that moment that their father is a sociopath? Would that have aided the conversation? “You know your mom never listens to anybody. She should be listening to you for once.” (When they’ve had some consequences for being disrespectful). “Well, we all wanted to go to the lake this weekend, but your mom ruined it for us again” (on my weekend). But let’s say I take it further and add a label, “Remember, your dad’s a sociopath. So he’s doing what a sociopath does and creating chaos and bad feelings as we approach our vacation. He’s manipulating you and brainwashing you to feel bad about our plans together.” In my experience, taking it this far is too far for a child. A child is going to hear the words “sociopath” or “psychopath” and have a big response internally. Those labels are hard to understand, and the main thing they’ll understand is that you’re the one using it. The label. You’re the one calling names. And that doesn’t feel good. You don’t want to be the one calling names. There’s plenty of time in your children’s future to figure out the labels on their own terms. How Can I Respond to Their Hurt? The best thing you can do in the present is to consistently care about their feelings (truly care—with curiousity and openness, but without judgment or defensiveness) and then perhaps present any necessary information or facts, if timely or appropriate—for example, telling them that you did, indeed, call them. The most important part of what I just said is the caring part. Care about how the situation makes them feel. Understand that their experience and feelings are their own, and remember how good it feels for you when someone just hugs you and listens and says, “there, there” instead of immediately countering with facts and explanations. That doesn’t mean that you never counter with the “truth.” All I’m saying is that first you care, and second you present the truth—if it’s positive and reassuring and easy for them to understand. And third, remember that if you use negative labels—even if they’re true—the sociopathic parent is likely to use them against you. To say that it’s just one more way you’re attacking them. To give your kids one more reason to feel pity for them and one more reason to feel suspicious of you. And just think about how much my poor son has been forced to hear about it, year after year after year. About how I’m actually the brainwasher. That was a mistake, and I don’t recommend that you make it. Instead, focus on building a caring, stable life. And keep your truth focused on all the positive things you’re doing and feeling and being as a parent. This was a big hurdle I had to jump not too long ago. When the children came down to visit me, I NEVER bad mouthed their mother. Whenever an issue arose that pitted my ex spath and myself as parents with the children, I generally took the high road and told the children “well here at Dad’s house, it’s not ok to lie” or Dad does not allow you to pick on you little sister. For me, this did two things. One, it re-enforced positive behaviors for my children and two, it allowed the children to see the differences between their mother and I clearly. My hope is, they grow up seeing this and it begins to sink in as they get older. I refuse to bring my children onto the battlefield between me and their mother. I would rather lose a battle and win the war versus win every battle and lose their hearts and minds. I think it’s important to support history as the child remembers it. Our spath is persistent in trying to twist the history for the children. Things like “You remember when daddy cut mommy with the knife.” Nothing of the sort happened. The child didn’t remember that happening, but mommy keeps saying it. We ask them if that is something they remember happening or if that is something that mommy said happened? We talk about the differences between the truth and lies. Daddy’s house isn’t for lies or secrets. At daddy’s house they aren’t told what to believe. We allow the children to work it out for themselves. They don’t like lies or secrets either. They are supported in coming to their own conclusions and so far so good… they understand that mommy lies and daddy doesn’t. The other thing is we do what we say and we say what we do. Mommy dangles carrots of places to go and fun things to do that don’t actually happen more often than not. If we say we are going to do something, we do it. If we can’t… there is a darn good reason and we make a date to do it later. They can count on what is said at daddy’s house. Even young children can understand differences. They can work out things that confuse them. They need to be supported in coming to their own conclusions rather than being told what to believe. We don’t say mommy’s a sociopath, but they know that mommy lies about things and that mommy’s promises cannot be depended on. When they are confused about something that mommy is saying to them, we ask them what they think the truth and tell them that they will have to ask mommy why she is saying its something else. We do what the court says we have to do and we follow rules. You don’t have to counter everything. You just have to honest while living a life that is stable and dependable. The truth is always required when dealing with a sociopath as it teaches your children to follow their gut not just when dealing with the sociopaths in their family circle but also when they choose friends to join their circle of friends in their future. Experts believe that each and every person has at least one sociopaths in their circle of family/friends (so scary to think about this!) so the odds of your children allowing a sociopath into their inner circle (especially with a parent that meets the traits) in their future is very high. Throw in the fact that your children have been manipulated by their sociopathic parent for their entire life and have been condition to accept their parents abuse the odds of your children allowing a new abusive friend or dating a sociopath in their future goes up greatly. 1 in 25 people mainly men are sociopaths and 1 in 5 people (75% men) are narcissist. I think it is also vitally important that when your children become teenagers that you educate them on how to spot a narcissist and sociopath and in return without ever saying “hey, your dad is a socipoath” they will put two and two together that their own family member meets all the traits. This education is also vitally important to survive in this crazy world. Your “school age” children will be dating and marrying in their future. 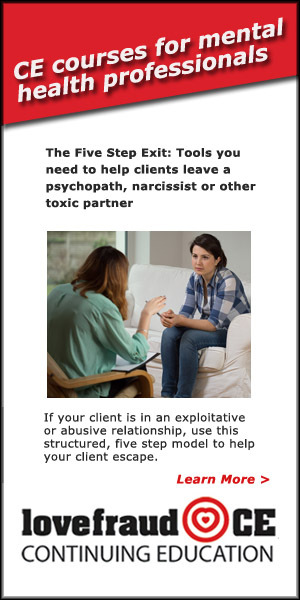 In addiction educate them on what gas lighting abuse is, the “no contract rule” and setting boundaries as they will have the tools to know when to cut loose a friend/bf/gf that is not healthy to have around. Teach your kids everything that you wish your parents would have taught you had they known about narcissist and sociopathic behavior. This info would have protected you from your ex. How do you teach your teenagers about sociopaths? 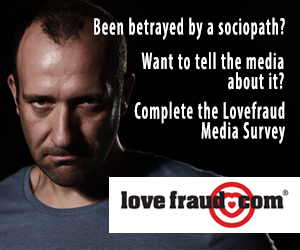 Bring them to Lovefraud.com (have them watch Donna’s videos) & buy books like Lovefraud by Donna Anderson, How to spot a dangerous man by Sandra Brown, The sociopath next door by Dr Martha Stout, Gift of Fear by Gavin Debecker and books on setting boundaries. Then read these books with your teenagers and have a very open discussion about the books content as well as ask them to show this site/books to their friends…the more their circle of friends are educated on the dangerous of this world the more your children’s friends will protect your children when they are out say at a party, at the mall or dating. As they say….Knowledge is power! Bets and Jan, you bring up some very good points here, Thank you for your insight I will definitely incorporate some of these ideas with my children. I have always believed that honesty is the higher path and I too do not believe that anything in my house should have to be hidden. This is of course the opposite with my ex (which has already been confirmed) who tells the children to hide details of their lives with her and her actions. How can you raise a child to be a decent law abiding citizen when you are literally telling them that it’s ok to lie? I married my narc husband twice. We met in law school and married after that. Because I couldn’t give him children at the time. He left me. A few years later he manipulated himself back into my life. After many unsuccessful IVF treatments I was exhausted. But I finally became pregnant with triplets. They were born very premature. 1 died and I was devastated. Now I have 2 beautiful girls that did live. I thought we would live happily ever after. Soon after that, my husband complained that I never gave him a son… I could not go thru IVF again. The last pregnancy was so complicated. I had to have a total hysterectomy. He soon divorced me… Now I am raising our 2 girls… I never realized he was disordered until he remarried. His new wife is pregnant, probably with a boy. He hasn’t spoken to me in almost a year. And he hasn’t even called our daughters. They are devastated. Before he married his new wife he was somewhat a part of their life. He attended school functions. He always spend Christmas and Easter and birthdays with us. And now since marrying the new wife. He doesn’t even call them. They are devastated and hurt. I don’t know what to tell them. Should I let them know he is a narcissist? And cares about no one but himself. I have made mistakes. I believed the new wife was responsible for his rejecting my girls. So I did confront her. Big mistake! It was then that he stopped speaking to me. Why else would he go from loving father to absent father. Unless the new wife was responsible? Marriedmyextwice, I am so sorry for the loss of your child…so heart breaking. 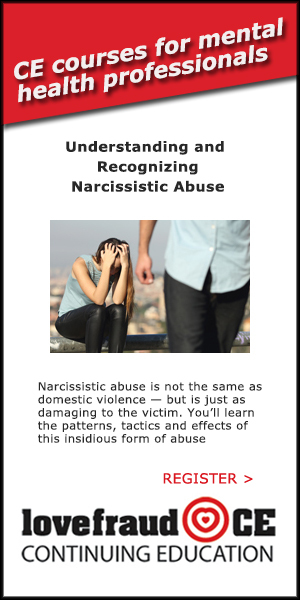 I want to give you a different perspective of your situation….all sociopaths are narcissist and all sociopaths play mind games with everyone they come into contact with no matter who they are ie family = their own children, friends, co workers, strangers. Sociopaths use brain washing, mind control, gas lighting, reward and punishment, install fear & phobias in their victims mind, use hypnosis, trace etc etc all to control people. Do you really want this man to have a relationship with your beautiful girls knowing that he would just twist their minds around for fun? Count your blessing that he is not destroying their childhood or their future with all his mind games. Count your blessing that he is not using them to alienate you from them as this is what sociopaths will do. Count your blessings that he is not taking you to court to gain full custody to avoid paying child support because this is what sociopaths do! You are projecting what you want for your children = a loving father = your ex will never be a loving father = he is a sociopath = he plays mind games like a cat playing with a mouse! He pays child support while he does not want to be with them and please KNOW that him not having a relationship with your children has NOTHING to do with you sending him “20 texts” that is his con game to put all the blame on you and away from him (classic sociopathic behavior!). Sociopaths always always shift the blame away from them and projected onto others and guess what normal people take the blame without even realizing it that they are being conned by a sociopath. Why does he do this? To control you, to keep you hooked, to mess with your mind, to accept his poor behavior so many reasons why he does his sick twisted mind games….PLEASE do not take the blame for him not seeing his daughters. Do not blame his new wife for him not seeing his own children keep the blame firmly where it should be = on him. You know what it is like to be married to him his new wife is enduring the same abuse, just like you when you were married she is just trying to keep her head above water. What can you do with your situation? 1) count your lucky stars that he is not mentally and emotionally destroying your children by being in their lives. 2) be the best mom you can be to them. Your children do not need two parents if they have one strong, loving, respectful, kind parent to guide them into adulthood. check into adrenal fatigue as your root issues. Get tested for cortisol levels, hormonal imbalance, vitamin/mineral deficiency & thyroid issues (if you have thyroid issues you also have adrenal gland issues and need to heal your adrenal glands first before treating thyroid issues as you can damage your thyroid see Dr Wilson’s book) Google “depression vitamin deficiency. To find a good hormonal specialist google ’compounding pharmacy” with your city name then call them for a list of doctors and/or ask friends for a recommendation. The fact that you had trouble getting pregnant is a big indication that you have had adrenal fatigue for a long time. 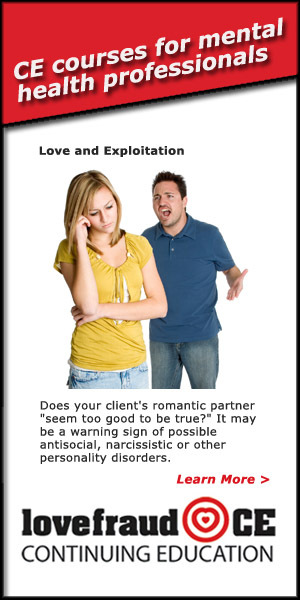 A toxic relationship will cause anyone to have adrenal gland issues. 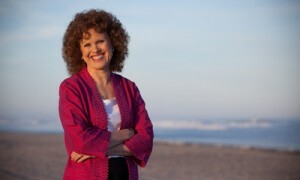 See adrenalfatigue.org take quiz/see symptoms/read, DrLam.com see symptoms/read, Mialundin.com READ her book/see her you tube videos. 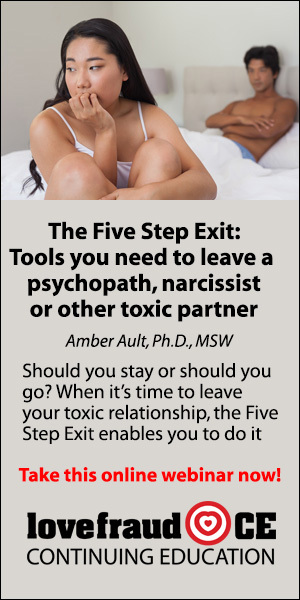 DO NOT LET your ex control your mind any longer…he is string you along for when his current wife finally leaves him (which she will once she sees his mask slip). See Onemomsbattle.com, facebook page One moms battle and Tina’s books. What do you tell your children? That their father is not a healthy minded person and he is selfish. Teach them that it is not ok to have selfish people in their lives because you dont want them to think that your ex’s behavior is OK it is NOT, you dont want your girls to grow up and date/marry men that are selfish. You dont have to bad mouth their father but you can teach them how they should always be treated with respect, kindness and love by other people they allow in their circle of friends/family. This is a valuable lesson for everyone. ps google “ hysterectomy depression” there is a lot of info on why you need hormonal balancing specifically progesterone after a hysterectomy. Your local library or big box store may have books on balancing hormones after a hysterectomy at can guide you. The hurt and depression you feel is normal. You have been betrayed. You want to protect your daughters from being hurt by your ex. Consider that your ex is who he is and does what he does, and there is nothing that you or his new thing can do. It is almost certain that he will turn on her sooner or later. Consider that your ex never was a loving father. He paid attention to your daughters when it suited him, and stopped when it no longer served his purpose. This is not what a loving father does. He faked being a loving father. It is pretty typical of psycho/sociopaths. I think the most helpful thing you can tell your daughters is to reassure them that their ‘dad’s’ behavior is not their fault, that he has problems that have nothing to do with them. I think that explaining details about him being a sociopath will not help them feel better any more than reassuring them that his ignoring them is not because there is anything wrong with them. It is much more helpful to let them know that you understand their feelings, you validate their feelings, and you have empathy for them. Explaining the sociopath label could backfire if they repeat it to others who don’t understand or it gets back to your ex and his new thing. It could be turned around on you to make you look like you’re crazy to accuse him. It is natural for you to want to influence him to spend time with his daughters. However, it is out of your hands and anything you do or say is going to be turned around and used against you. He is going to do whatever he wants, and your good faith efforts to communicate to him about your daughters will be wasted at best and used against you at worst. If he does spend time with them, he is likely to discard them again which would re injure them. Consider not spending any of your time and efforts communicating with your ex. The grey rock technique for dealing with your ex spath may be helpful. 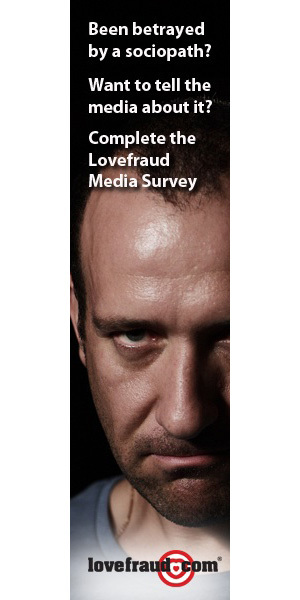 http://www.lovefraud.com/2012/02/10/the-gray-rock-method-of-dealing-with-psychopaths/ Consider using your energy for your own recovery and to spend quality time with your daughters. Loss of time spent with a real loving father is a tragedy and a real deficit for your daughters, but your ex’s lack of interest in them may be a blessing in disguise. Interacting with spaths never is beneficial and can do a lot of harm. There are a lot of moms who wish that their ex spaths would leave them and their children alone because they cause so much hurt and damage. I was in your position. The sociopath father of my son was using his attention to our son as a means to manipulate me. As I leaned to disengage from his drama by not playing into it, he distanced himself farther and father from us. I cried and prayed for my son and his lack of a proper father. It turned out to be an unanswered prayer. My son is better off having spent the least amount of time possible with his disordered father. My son and I have a much better relationship because of it. I’m not saying it was easy or that there weren’t bumps in the road. As my son got older, we talked about the reality of his father’s disorder and how the manipulations hurt us both. I had been able to terminate the socipath’s parental rights which saved us. Our life was not the dream I so wanted for us… instead, it was a better, completely different kind of dream that I never imagined. I understand the agony and despair of wanting a “normal” life. I understand wanting your daughters to have the father he is supposed to be. He isn’t the man of your dreams, he’s the man of your nightmares. A relationship with your children’s father will not give you back even a small part of what you dream for. He will continue to manipulate you and use your daughters in his manipulations. It will be nothing but drama which is the last thing you or your daughters need. Instead focus on taking care of you and creating a better, non-disordered, life for you and your daughters. If he wants to go no contact – DO IT! It’s a gift!. If he is an absent father to your daughters – TAKE IT! It’s a blessing in disguise!!! He’s paying child support? Thank your lucky stars and move on! Take this opportunity to take care of yourself. You need to do what you need to do be it counseling, support groups, self help books, talk to your doctor, religion, education, whatever it takes for you to move on in a healthy way. You need to be the strong mother and role model that your daughters need to become the healthy women you want them to be. I know it is hard. The unknown is daunting. It gets better. I promise, it does get better so stop wasting your time on the loser and take care of yourself and your girls. His loss will be your daughter’s gain – a healthy, non-disordered life! I used to feel sorry for myself, that I was unwanted in my family, never embraced in the fold, but rejected and neglected. I used to pray that they would want me. Now, upon reflection, I realize what a blessing it was to be rejected by them. I turned to books and music and my faith and hung out with my neighbors who were solid, decent people. The Lessson to learn? YES! The less time with the disordered, the better. Always. NotWhatHeSaidofMe – It’s 4am and here I am suffering what my therapist refers to as my curse. The curse of the non-disordered living among the disordered – diarrhea. It’s how my body deals with the stress I cannot process. Seems apropos. While my narcissist mother is deceased, her disorder lives on in my narcissist eldest son, my narcissist brother and my clueless father who learned parenting from my mother. Tiptoeing through a day with my family generally sentences me to the bathroom instead of my bed. Nothing for it, but to get through it. In going through my mother’s papers and the items of childhood she kept, I can report that from a very young age I was keenly aware of my unwantedness with my mother. My misspelled letter in crayon to her begging her to love me is evidence enough. That childhood is what set me up for my sociopath first husband and years of therapy. What I can say to others is that children are very perceptive. While I was told I was loved in public, what happened in private did not enforce those words. Married2wice, your daughters will eventually understand what their father is. His lack of love and attention while hard to process now can be offset by your unconditional love. They need at least one healthy parent to guide them through life. Fathers who desert their children do so because they want to. It’s that simple. Your behavior is just the excuse they’ll use to stay away. If he wanted the child in his life, that’s what would be happening. And fathers who desert their children today may not want to desert their children when they can provide something for him later in their life. So even kids who have little or no contact from the abandoning parent during their developmental years, can become a “Golden Child” for that parent down the road. Abandonment creates yearning and longing. It’s important for children to understand the reality of psychopathy. But be careful when and how you introduce this concept. It would be best to do so through a therapist who specializes in this issue, and through books that create enlightenment on the subject when they are at an age of understanding. Fortunately, we have many to chose from at this point. 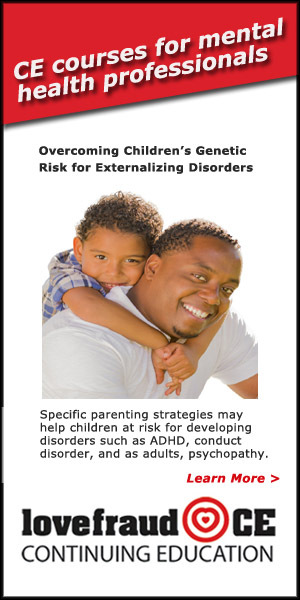 Keep in mind that the child of a character disordered person can be genetically pre-disposed to develop character disorder. And nature can be far more powerful than nurture. 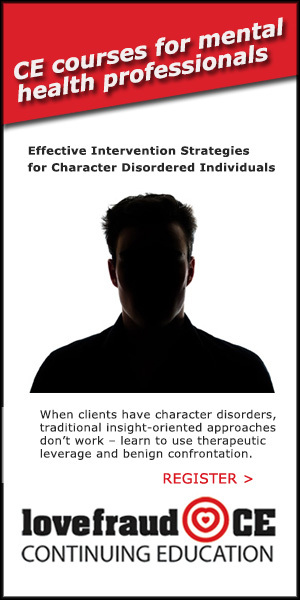 If you see developmental signs such as lack of empathy, impulsivity, ADHD, self mutilation, animal cruelty, pre-occupation with fire, pre-occupation with weapons, oppositional-defiance, and/or drug or alcohol abuse, get them to a therapist who has a clear awareness of character disorder. Children of character disorder who feel abandoned can develop Borderline Personality Disorder. Don’t simply thank your lucky stars for the offensive parent’s non-involvement. It could be a double edged sword. I wish someone had told me this when my son was growing up. His father abandoned him very early on. 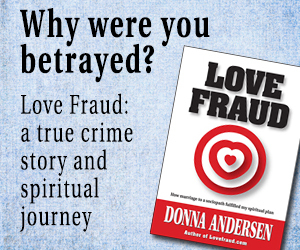 At 18, he found his extraordinarily wealthy father who convinced him that I drove him away. It was all my fault that he paid no child support and never sent him so much as a birthday card. My son has Borderline Personality Disorder and I haven’t heard from him in over 5 years. Thank you everyone for the words I REALLY NEEDED TO HEAR. It IS SO hard for me to accept this. But I am trying to. Before he remarried he was actually cordial to me. I saw him with the girls and he was a great dad. Do you think it was an act? I don’t know if he was a different person when it was just him with the girls alone? I do know that the weekends that they stayed with him, they would come back home with me happy. They always said they had a good time. They did say that their dad went out every night and they stayed with their nana and papa (that is his parents and their grandparents). They love their Nana and Papa tho. They said that dad had taken them to zoo, and to kids depot (fun kid place) during the day. But they stayed the night with nana and papa. I never saw anything wrong with that. After our divorce, I accepted it fairly well.. And he was a single man. He was going to go out or whatever. I was hurt after he left me, because it literally came out of no where. I always had felt an emotional disconnect from him. But to get served divorce papers at work.. Was a total shock. That was years ago though. I was hurt but I have healed and I don’t feel ill will toward him anymore. It wasn’t until he stopped having contact with our girls. What is so strange tho is that when he first remarried, he was really into “father mode”. He was getting girls more than ever and him and his new wife were playing house. Which I was ok with. Because my girls were happy. They liked new step mom. That didn’t make me feel insecure or threatened. I was thankful that he met a woman that was obviously so kind to my girls.. My girls came home to me happy and told me how much fun they had. That makes me happy. To know my children had double the love. Then it all stopped. My girls don’t really even talk to nana and papa anymore either. I am a little in denial because how could I have misjudged the character of all these people. I feel so sad because I feel they don’t LOVE my girls. I feel so bad for my girls. I don’t want them to feel like they are unwanted and unloved. I don’t know what to say when they ask me why they never see dad or nana anymore… I want to say “BECAUSE THEY ARE HEARTLESS COLD A***HOLES! !” But i never say that. I actually told them the last time they ask, because nana had the flu and was contagious…. I don’t know what to do. I feel so sad. I am slowly learning to accept that this has nothing to do with me or my girls. It is the other people. They have the problem. I am no longer texting my ex husband and asking him why he is doing this. I am just leaving him alone. The most helpful thing you can say to your daughters and for them to understand is that any rejection of them on the part of your ex and their grandparents is not your daughters’ fault. Focusing on that fact, and not concerning yourselves with the exact nature of your ex’s and in-laws’ problems (ie because they are heartless cold a-holes) is more powerful and teaches your daughters’ to focus on what they know and what they can control, and to avoid wasting energy over focusing on what we can’t control about others. It is so good for you that you don’t bear your ex any ill will. If you balance that with recognizing that he does not care about anyone else’s well being including yours and your daughters’, then you are in a strong position to protect yourself and your daughters from his hurtful behaviors. Cold and heartless sociopaths don’t care about others ever. When your ex and your inlaws were being ‘nice’ to you and daughters, it was because it suited their exploitive selfish purpose to do so. It was not part of a commitment to be nice to people nor is it because they bond to their family. If that were true, then they would always be nice and would not want to cut ties with you or your daughters. Expectation that it’s ok and normal for a man to abandon his wife, while it’s not ok and normal for him to abandon his children, is a popular and pervasive misconception. The reality of it is that a man who is capable of abandoning his wife is just as capable of abandoning his children but it often doesn’t suit him to do so or the law holds him accountable to the children in ways that it does not hold a man accountable to his wife. Spaths are very very very good about showing a false persona to others. It’s next to impossible to recognize their disordered characters until they do something according to their true character. I was duped by my ex spath because I didn’t really believe that anyone like this really existed in my world. You’re not the only one who misjudged someone’s character. Cold and heartless sociopaths don’t care about others ever. When your ex and your inlaws were being ‘nice’ to you and daughters, it was because it suited their exploitive selfish purpose to do so. It was not part of a commitment to be nice to people nor is it because they bond to their family. If that were true, then they would always be nice and would not want to cut ties with you or your daughters. You are right that they didn’t really love your daughters; and it is normal and natural to grieve that. Marriedmyextwice – You don’t have to have all the answers all the time. Sometimes the answer is a simple, “I don’t know.” Rather than feeling so bad for your girls, go find a great counselor for the three of you to deal with these issues. You need tools and that is what the right therapist can help you with. jm_short is so right. There is a genetic component to character disorder. Your ex-husband may have been raised by parents who are also affected. Your children may very well have inherited the predisposition as well. Counseling with a qualified counselor who specializes in these things could help nurture a more secure future for all of you. Making up excuses for your in-laws behavior is not going to make things better for your girls. They need the security of knowing that the behavior of their grandparents and father has nothing to do with them. They don’t need to be lied to… that will only make them distrust your words in the future and that is something you don’t need. Great dads don’t act this way. A parent who wants involvement with his children will find a way. Stop fooling yourself. He wasn’t being a great dad – he was being an amusement park (which is a manipulation) and pawning the girls off to others so he could do what he wanted to do which isn’t great parenting. I’m glad you are leaving him alone. Keep the learning going! Counseling can help you accelerate the process and give you tools to deal with handling these issues as they come up and they will come up. Counseling can also help your girls learn to handle the lack of their father in a healthy way. There is a difference between being feeling Abandoned and feeling the absence of a parent as being something to be OK with. It takes tools, practice, patience, security, and time. You will all benefit. A man who abandons the mother of his children schools his children on how to abandon. Abandonment of a parent drives dysfunctional, distorting disrespect into the child’s psyche. Abandoned children and/or children with abandoned parents can readily become abandoners. Every abandoned parent should seek therapy for themself and their children. Assuming that the child is okay with the gross disrespect the abandoning parent is displaying toward you can be catastrophic on their development. Find a therapist who is well versed on the family dynamics of raising children with a psychopath. Even when parents no longer chose to live as a family unit, the children need the emotional and financial support of both parents. If parents cease to function in unity, no matter what the reason, it leaves it’s mark on the child. 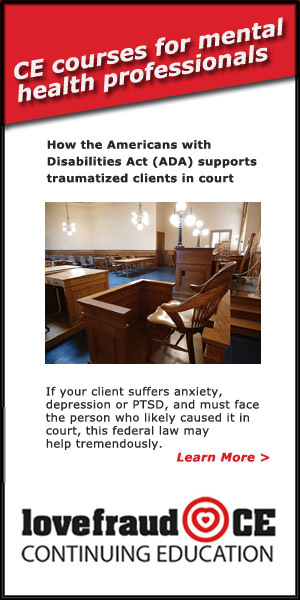 If abandonment is unavoidable, seek professional help. Your children need to know why and their ability to absorb that information will differ as they mature. Abandonment prevents you from raising your child in normality. 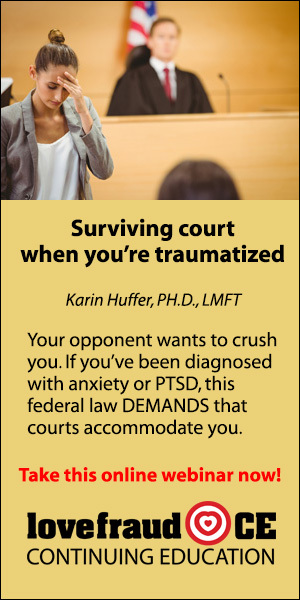 Telling the child that it’s not their fault is simply not enough to stem the impact of desertion.